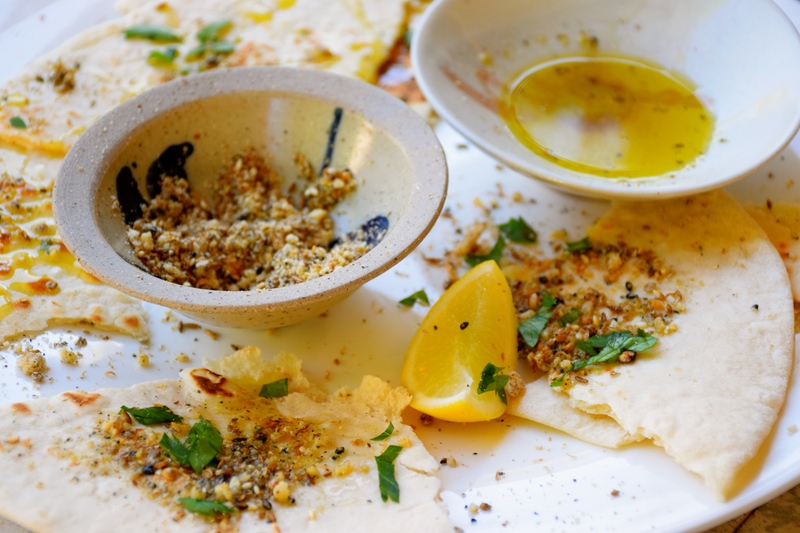 There are days where the craving for freshly made dukkah is so strong that I find no satisfaction till a batch is roasted, pounded, and then eaten whilst still warm. It has to be said, possibly the best way to enjoy duukah is with bread and extra virgin olive oil. It certainly is the way I most often consume it. But I also value dukkah for its versatility. Once I have a batch made the remainder stores well and can be sprinkled on vegetables before roasting, used as a seasoning to salads, dusted on to meat or fish before cooking, it can be used in dressings, added to yoghurt… I find it such a useful flavouring for so many things that is a staple in my kitchen. I prefer my dukkah made with hazelnuts. Added to the roasted spices of coriander, cumin, sesame, and black pepper, I add dry roasted hazelnuts (this saves roasting and peeling them). You can swap the hazelnuts for pistachios, or for a less authentic offering, macadamia nuts also makes a nice blend. I’ve used a mix of black sesame and white sesame seeds because I like the contrast. Plus, I had them in the cupboard – they needed using up. But generally white sesame seeds are the go. The remaining, and just as important ingredient, is sea salt. And it should be sea salt, don’t swap this for any thing else. The recipe has deliberately been kept to a smallish amount so you use the dukkah up while it’s fresh. It’s so simple to make and really takes no time at all, and can and should be made regularly. Place the sesame seeds, spices and peppercorns into a fry pan. Roast them on a medium heat till the spices begin to sizzle and pop – don’t walk away at this stage as it won’t take long. Roughly chop the dry roasted hazelnuts and place in a mortar and pestle with the roasted spices and sea salt; alternatively use a spice grinder. Pound or grind to a coarse consistency – remember to keep it chunky. Check seasoning. 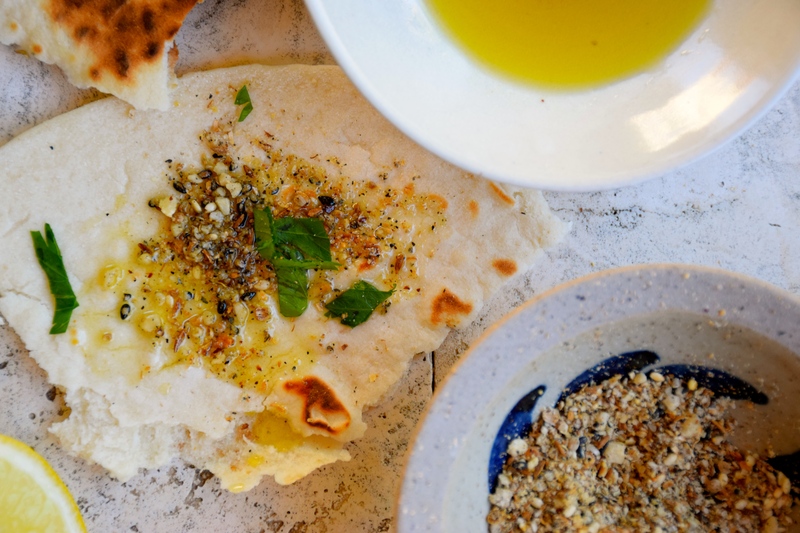 Serve with fresh Lebanese bread and extra virgin olive oil. Store remaining dukkah in an air tight container in the pantry for 2 weeks. Dukkah with eggs is so delicious…you’ve inspired me to make them again using some of the beautiful spring asparagus around at the moment. Thanks for sharing! Cheers Sam. Asparagus IS so good at the moment. I had it again for dinner tonight, grilled on the barbecue this time – delicious! What a beautiful blog! I love your dukkah especially with the eggs! Thanks Marcellina. Those cakes look amazing on your blog, love the checkerboard one.